After beginning the season driving on what seemed to be an empty tank, the Rowan field hockey team took a pitstop along the road to fuel up. 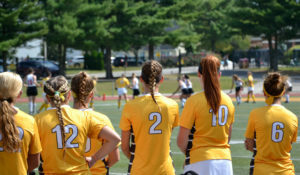 Four games in, the Profs found themselves sitting on a 1-3 record with two games going to overtime. Since then, the group has won four-straight, two with a 3-1 finish and two with a 2-0 end score. 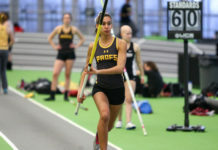 The team’s three wins this week began with a home match-up against Haverford College on Saturday. After falling behind early, Rowan would score three unanswered goals to finish the game with help from junior back Marissa Ciocco and junior forwards Myranda Christy and Julie Johnson. The scores from Ciocoo and Christy were their first of the season. 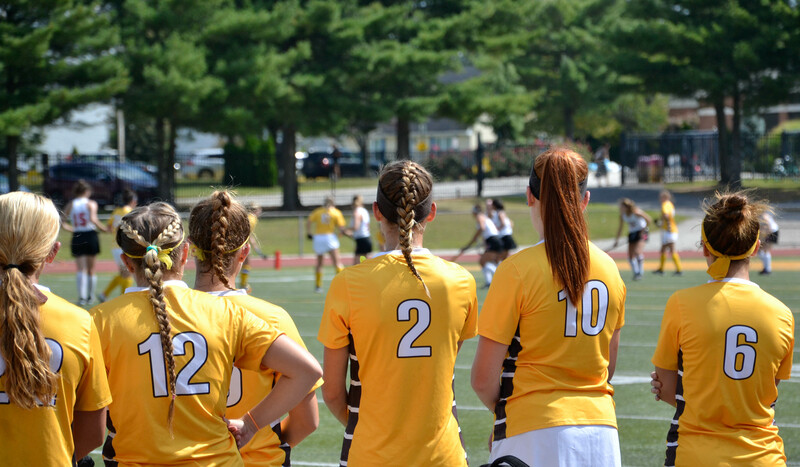 On Tuesday, the brown and gold scored two in the first period against FDU-Florham to secure the 2-0 shutout victory. Sophomores forward Bridget Boyle and junior forward Rachel Galante tallied their third goals of the season. 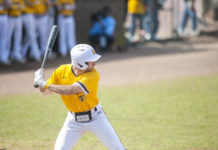 Rowan has found great success using a healthy mix of under and upperclassmen throughout the young year. Of the 17 goals they have scored so far, seven have been put in the net by the freshman and sophomores. The team won their third game of the week against Stevenson University 2-0 at home on Wednesday night, giving them the four-game winning streak. Scoring came right out of the gate with Galante netting a goal in the fourth minute to give Rowan a commanding and early 1-0 lead. Freshman midfielder/back Dayna DeVincentz added her name to the list of underclassmen scoring with a rebounded shot just around the 20-minute mark in the first period. The brown and gold completed their second shutout of the year by allowing just six total shots from the Mustangs. In terms of finally getting both the offense and defense to click at the same time, Andre stated it was just a matter of time. Rowan gets to enjoy a week off until their next matchup against Wesley College next Wednesday in Dover, DE.